Hi Kim! I would LOVE to link to your gorgeous idea (https://www.tidbitsandtwine.com/decorating-the-kitchen-for-fall/) from Disney’s Babble.com and wanted to make sure that was okay with you? It’s so splendid, I think our readers would LOVE to discover the idea and I’d love to send them your way! Hi Kelly – Thank you so much; I’m honored! It is absolutely okay to use an image with link back. I’m looking forward to reading your post! Hi Susan – I got the chalkboard background from James at Foolish Fire. He has some free versions as well as some hi-res and you can ask him about resizing it. He is super helpful and you can contact him here. Hello from Texas! I am helping host a couples’ wedding shower in just a few weeks. I have 60 mason jars to label; thought about using the chalkboard labels. My problem is that the lettering on the glass jars is raised. Any suggestions how to put bride & groom names on jars with chalkboard labels? I don’t have the tops of jars…just jars only. Thanks for any advice you can give me. Hello from Dallas! I am in love with the antique looking blush mirror. Would love that piece in my nursery!! Do you mind sharing where its from? It is the mirror in the At Home with Blush post. It’s the one that larger scale, very feminine and ornate and it hangs over the gray vanity. I so love it and wish I knew where to find it!! Thank you for your quick response. Love your blog! You have done such a beautiful job of everything. I have seen the picture of the leather arm chair on the home page of your blog and was wondering if you had painted it .It is so beautifully done. I have two chairs I would love to paint to give it the same look. Would you mind telling me what kind of paint you used and what color you used. Id appreciate it so much. God bless and Happy Thanksgiving. Hi Carolyn – I’m so sorry for the delay in responding! The leather chair in my family room isn’t painted – it was upholstered in a slightly distressed leather giving it a mottled look. So sorry that I couldn’t be of more help! I am looking to find out where the tile came from in the picture of the small bathroom and the mirrored-glass subway tile. It’s beautiful. I have a great spot to do those tiles. It’s got troyer building in the bottom of the picture I think. Looking to where I could purchase antiqued mirrored subway tile used in small bathroom posted, by Troyer Building, love the look!! Kim, Love the mirror faux clock over the mantel. could you share where one might find one? Hi there! I’m interested in making the minion hats for my son’s birthday. I was wondering what kind of glue you used for the jar lids, eye, and pipe cleaners. Hi Stacy – I just used a combination of hot glue and glue dots. They didn’t stick forever given the slippery surface of the hats, but they made it through the party! Good luck! I miss your beautiful posts. I sincerely pray all is well and Summer fun with your children has been keeping you busy. Take care and hurry back, wr miss you. None of your photos will open for me and under your House Tour heading I see this message: Error, no Ad ID set! Check your syntax! Oh dear! You’re the second person to tell me this but I haven’t yet been able to figure out the issue. Can you tell me what browser you’re using to view my site? I just printed the labels at the bottom of this page. Was wondering if there are any blank labels I can print and write my own words in? I love the cup and saucer in the second picture on your home page at the top. Where can I buy this patterned china? Wondering who makes the fur ottoman (#1) with the gold legs in an x.. I have seen this picture several places and these are exactly what I like/need… any idea who makes them or where can purchase? 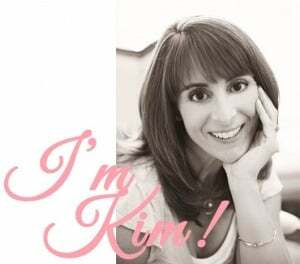 Hi Kim, I love you website and wonderful ideas. I wanted to make the adorable minion hates for our 2 year old birthday party. He loves minions. I have one question, what type of glue did you use to attach the metal minion eye (mason jar lid)? Thanks so much for your help and wonderful ideas. I love the Mediterranean style fake fireplace (the one with all the candles). Do you know of a website or online store that may carry similar styles? Thank you. Just been waiting and watching for a new post. I know how life can sometimes interfere with blogging, just wanted you to know I miss your always inspiring and informative posts. Hi Kim, just popped in as I haven’t seen anything from you in a while….I love your posts and miss them. I hope all is well. Best, Colleen. Hi. I have green window treatments that I love but want to paint my walls a neutral color. Should they be in the green family? Any ideas? I check your blog once a week to check for new posts. Hope all is well with you and yours! only interested in Santos dolls, or Santos dolls kits!!! Hi! I was wondering where I could buy the blush bed spread?! I love it! The one that is half ruffles! Like your fallery wall. Do you have any tips for keeping same size, zame shape pictures precisely even on the wall. Mine keep slipping ever so slightky off-kilter and ruining the look. Hi there. I was reading your post about your makeover that you did in your guest bathroom. I am in love with the dresser bathroom sink and I am looking to do something similar. I was wondering if you did the dresser yourself and if so, what stains/paints did you use? Thank you! Love the casual elegant style, and your home! It’s what I’m looking for with my home remodel. My dilemma is that we are taking out all the walls in the ‘living’ end, so the kitchen, living room, and dining room will be basically one room, but will be divided visually by lighting, rugs, furniture placement. How can I give each their own personality but still connect them all? Thanks for any tips! Sorry for the delay in responding to you! I have an open floor plan, too, which I love but does get a bit tricky when you want to decorate individual rooms, but the rooms aren’t really divided! For me, I’ve used a consistent paint color on the walls throughout the open areas (bedrooms and bathrooms have different colors). I then use color and style to connect all the rooms and make them feel cohesive, but different. For example, my living room is much more formal than my family room because of textile choices (linen, glass, metals). My family room, though, has the same basic color scheme and similar furniture style, although my style and material choices are more casual because this is more of a kid-friendly space. Does that make sense? Hope it helps! Hi Kim, I love your style, mine is/was very similar. Three generations of furniture and momentos as well as pieces I picked up at bargain shops over our 35 years of marriage, all with stories I could only imagine. However 5 months ago our house burnt down and we lost everything. Now we are starting again. This time our house will need to be very simple and minimalistic. It will be a challenge to find ways of breathing life back into this new home. As we are retired it will also take time to replace the necessary items. The reason I am sending you this message is to remind you and your readers how important it is to have house and contents insurance. We are lucky, we have our barn to live in while our house is rebuilt, and we will have a lovely home because we had insurance. Not that any amount of money can replace the history that has been lost, the stories each item brought into our home or the physical threads that helped tie us to relatives long gone. But having insurance gives us a light at the end of tunnel to know we will have a home again, where we can begin to write a new story inside its walls. Your daughter’s room is lovely. You mentioned the walls were painted in a “Swiss Coffee” color. What brand did you use? I LOVE your site; it’s creative, and one can adapt your decorating ideas to a variety of decorating styles. Keep up the good work! While lokking for inspiration to put up beside items i sell here in Norway, i came across you beautiful traesure blogg. I just Wonder if i can USE Your photos to help costumers SEE the many ways to USE old treasures in a modern way?! I would happily give you the credit. I have subscribed to your site and I still do not have access to the printables and what not. What’s going on? Says I need a password and I don’t have one then it tells me to check my e-mail and there’s nothing about a password. I love your printables and ideas and such but this is ridiculous. Help! Thanks. I’ve looked into your subscription and I’m not clear as to why you’re having trouble accessing the printables. Is the password not working for you? I can see that I’ve sent you 8 emails, three of which you’ve opened and clicked so I know you’ve received them. Every single one of those 8 emails contains the password to access the free printables. The Welcome email that you opened contains it at the beginning, and the post emails contain the password at the end. the printable section of the site is password protected so that only those that subscribe can access, which is why you need to refer to your email to get the password. If the issue is that the password isn’t working for you, please let me know right away so that I can check for a technical problem. I saw on your web-site..and now I can’t find it….At a place setting you used a scrabble letter and it was placed inside an old tin jello type mold….Where is this???? I have searched and searched..I loved the idea but now I can’t find it. Thank you for your inspiration and all of your amazing ideas!!! I LOVE your décor!!!! I have built in cabinets on either side of my fireplace. They are 24″ in depth and 65″ long. They are so hard for me to decorate. If you would ever want to take on a subject like this it would be wonderful. I am completely stumped. I love your ideas. Thanks for sharing. I have never had a password for this site. I re-entered my Name & eMail address, received a confirmation email, and still don’t have a password.